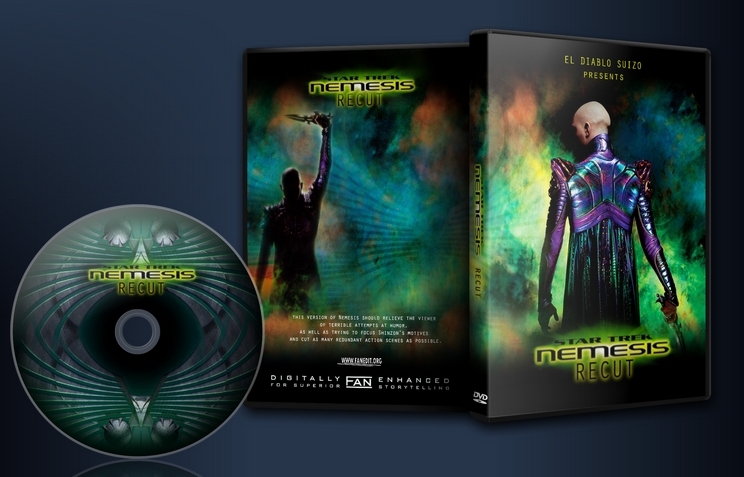 Star Trek: Nemesis falls into the trap of all of the Next Generation movies, which is trying to ape the formula of previous, more successful films. 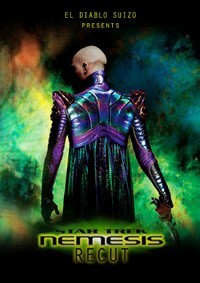 But, with an villain with inconsistent motives, a director more interested in action beats than actual character, and a cast/crew behind the scenes that had lost perspective of what makes Trek great, they made a lackluster send-off for the crew of the Enterprise-E.
I’m not saying this version of Nemesis will make the film the be-all, end-all version, but this should relieve the viewer of terrible attempts at humor, as well as trying to focus Shinzon’s motives and cut as many redundant action scenes as possible. - Removed Romulan Senate scene at the beginning. - Trimmed discussion about how Picard was itching to try the Argo. Now they just go down to the planet in a shuttle. - Removed exposition scene about how they don’t know anything about Shinzon. It does nothing for plot progression or character. - Re-purposed Shinzon’s motives. Instead of being all over the place and questioning his origins of Picard-ness, he does everything to further the glory of the Remans (or so I hope). - Cut “Move, puny animal!” scene. - Cut a LOT of space battle. - Cut “Blue skies” from the end of the movie. - Many trims of redundant information and attempts at humor. Great stuff.The story is now super tight and the cuts are well chosen. By removing the nonsense, the editor has turned a mediocre Star Trek flick into what feels like a tense double episode of Next Generation. The time really flies by – I didn’t find the pace was inappropriate at any stage of the movie. Nemesis was far from the best way for Piccard’s crew to farewell the Star Trek franchise, but I think the editor has done everything possible to improve it here. One negative: a bit disappointed at the video resolution of the DVD disc. Looked a bit too compressed to me! I consider this movie (not the edit, but the original) to be the “Star Trek V” of the Next Generation movies. It’s chock full of silly humor, poor acting and dialogue, actions not in line with the established characters. I really was not sure if a regular “scene edit” of this movie was really going to make it any better. Having said that, I completely agree with every single edit that El Diablo Suizo has made. It is as though he personally asked me what should be removed from this movie. Gone is nearly everything that irritated me about ST Nemesis. In fact, I might have removed a little bit more. Unfortunately, removal of so much of the silliness, bad jokes and goofy action, has made this movie very slow. With the exception of a few short scenes, this edit somewhat drags on in mediocrity and slow exposition for the first 41 minutes. El Diablo Suizo is spot on with his edits, but because the source material is so weak, the edit tends to be slow paced initially. Contradictorily, I still prefer this edit to the original. Technically, El Diablo Suizo has created a great edit. Perfect cuts. Excellent scene to scene cohesion and the audio (dialogue, effects etc) follows it perfectly. Only one small spot, about 27 minutes into the edit, was there a very small “hard audio” cut. It is the scene with Data, Picard, Geordi and the Doctor discussion the theleron (sp?) particles. Data looks at a med screen with the particles displayed, for about 3 seconds, and then the scene cuts to Shinzon (sp?) on his ship. It seemed like the music kicked in a little abruptly. A minor contention. Everything else is perfect. I gave this edit 8 stars only because the movie is so slow paced that first 41 minutes. Again, not truly the fault of El Diablo Suizo. He cut what I as an audience wanted. The source material is just that weak and he wasn’t left with much to work with. Still, this edit is well worth the D/L because I found it to much more watchable than the original. I didn’t “wince” once through the entire edit.